While Phantom Manor is still being refurbished, Thunder Mesa has received a ghostly photo location. This new photo location can be found in front of Phantom Manor. The addition of this new photo location was announced during the InsidEars event. 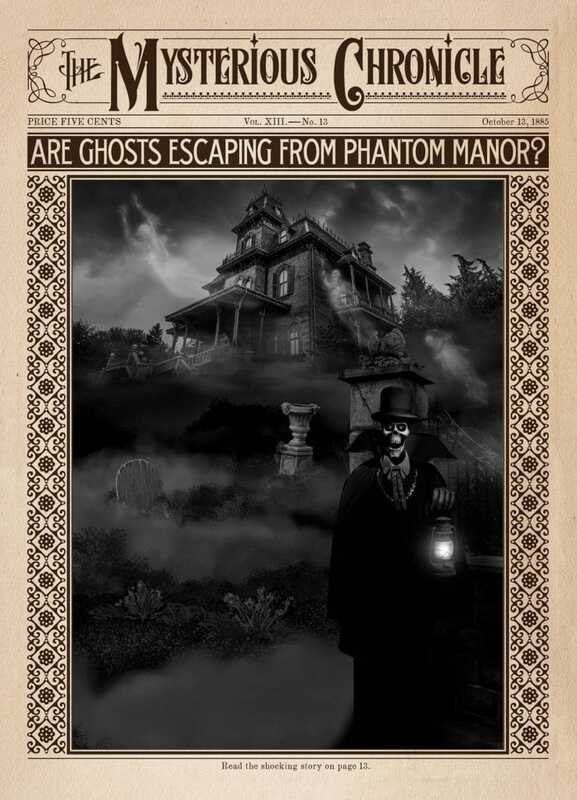 Ghosts have been seen escaping from the Ravenswood Manor. James Collins Esq. the Thunder Mesa photographer, whose studio is located above Bonanza Outfitters, has set up a mobile studio to try to capture images of these phenomena for the weekly journal “The Mysterious Chronicle” with his innovative “Spectral Camera”. While the Thunder Mesa photographer is away, the playful ghosts keep taking their own photos with his camera equipment and printing copies of the newspaper. 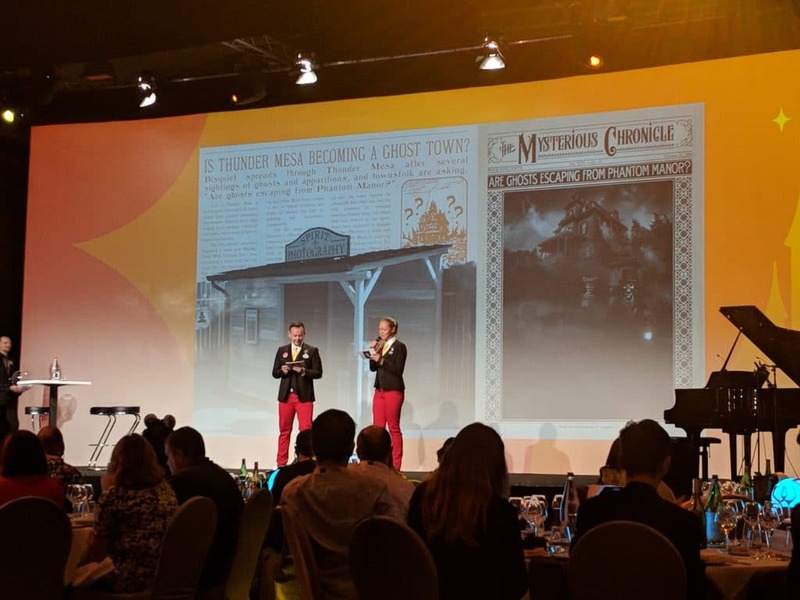 Guests can obtain their own personalized copy of The Mysterious Chronicle. This will be a hard copy of the The Mysterious Chronicle and a digital copy.